balanced with Laborie MCC Brut. 1 – Blend the strawberries into a fine pulp. has dissolved and let cool. 3 – Once cooled, add 200ml of the pulp into a large champagne flute or coupe glass. You’ll have enough pulp for 4 servings. 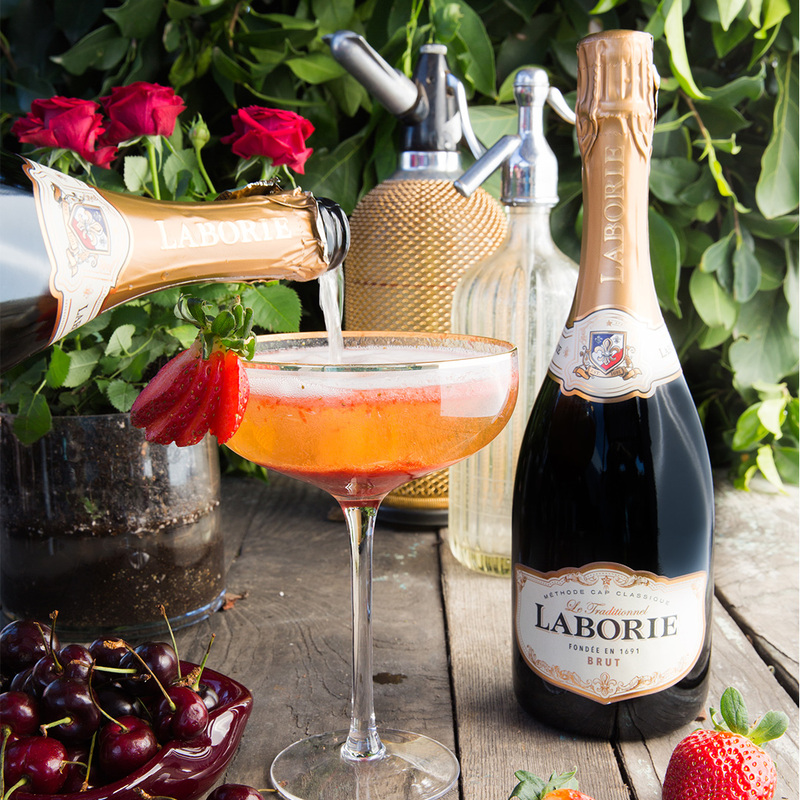 4 – Finally, charge with ice cold Laborie MCC Brut. 5 – Garnish with a strawberry fan and a fresh cherry.